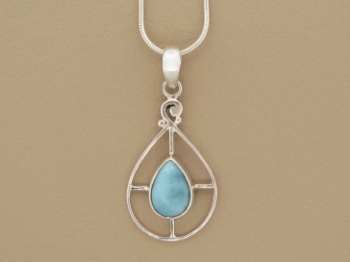 Very popular open bezel design accents a larimar stone tear that is handpicked for its exceptional color. 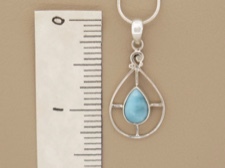 All our exclusive jewelry feature carefully selected stones to be set in our chosen designs. 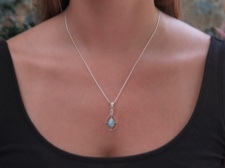 All orders include a handout about larimar.